1961 Cherokee 150 PA28-4, TTAF 2300 hours. Yes the fourth all new Piper (in 1961) assembled off the Vero Beach factory. Original trim color was brown as seen in the color brochure from 1962, but was painted red maybe in the 80's as it was not noted in the aircraft log books.This excellent flying Piper was used for advertising the all new metal Piper replacement for the Tri-Pacer. I found this plane in 2013 at Canton, Illinois Ingersoll airport. It had last flown in 1991. After sitting for over 23 years I returned N5003W to the air where it belongs and flew it back to it's new home 63c, Friendship, Wisconsin in June 2014. I started my flying in 1967 at Fort Hood, Texas while waiting to be discharged from the Army after being a helicopter crew chief on OH-13 and CH-34's. I was immediately hired by Tufts Edgecombe in Elgin Illinois a Piper distributor to service Piper aircraft. I completed my Private flight training in Feb 1969 and checked out in several Piper single engine aircraft of which the Cherokee 6 260 was one of my favorites. After leaving Tufts Edgecombe and entering a new career in Education I moved to Wisconsin (34 years 29 at Sauk Prairie as an Art instructor). 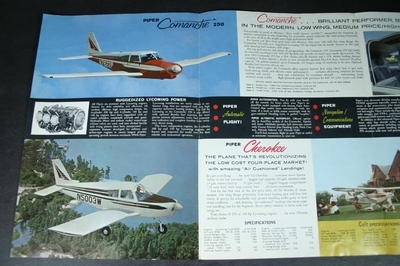 I was not able to get the aviation bug out of me so in 1984 I built a Challenger 1 kit plane, hoping to supplant my income as a Dealer. This was all before Ultra-lights had any 2 place trainers. I was one of the first Challenger dealers to build a 2 place kit. Business was lousy having to compete with a 20/20 TV show portraying the death of a journalist on Americas TV show in that same year. Sold the two place experimental aircraft in 1993, but never lost the interest in owning another aircraft. After retiring in 2006 I was always perusing aircraft "For Sale" ads when N5003W came to my attention in 2013. Figuring that I had worked on these solid flyers in my past and viewing the aircraft I was convinced I needed to get back into aviation. It was a great rush to fly off the runway after making N5003W airworthy again and having an opportunity to be assisted by one of my twin sons in the process. Now when the urge hits me I am able to leave the world below and head into the skies. Now when I look to the skies I no longer "wish" I was up there,but simply drive to the airport and go there. Fortunate I am. 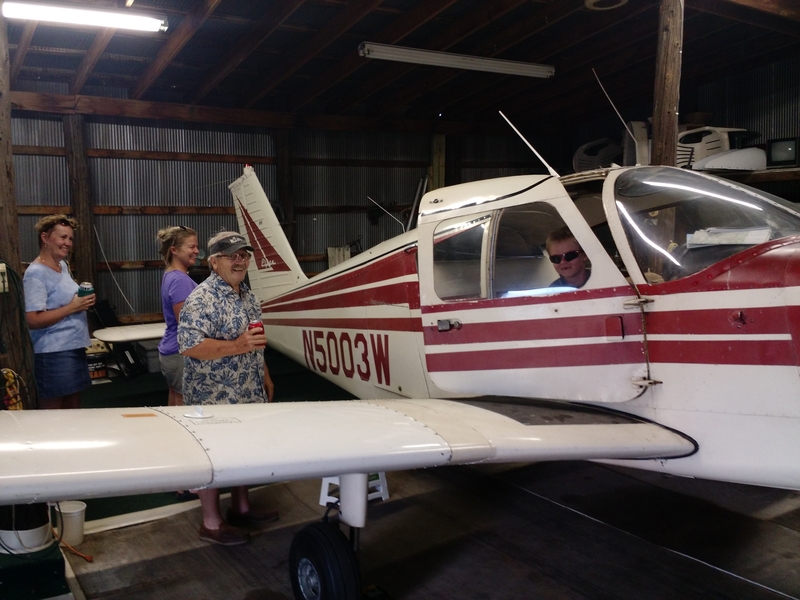 Great story and pics and welcome to the Piper Owners Society! If you need help with maintenance or restoration please post your questions here. We have our own association A&P, Erich Rempert to back me up as well as lots of members to help you, too. Again, welcome! Welcome. So cool to have such a low number. I have 1091. Very cool story, thanks for sharing. By the way I also started with ultralights and had a Challenger ll for 11 years. Great Story. You and I are same vintage and personal stories not unsimilar. There is no better feeling than owning your own airplane and flying whenever you desire. That bird is lucky to have been found by you. And vice versa, too! I've felt that way about all of my planes over the decades.